Do you know the strangest of all laws in man’s body? Man’s life, happiness, health, and enjoyment of the ‘things of life depend on his understanding of the working of the human mind. 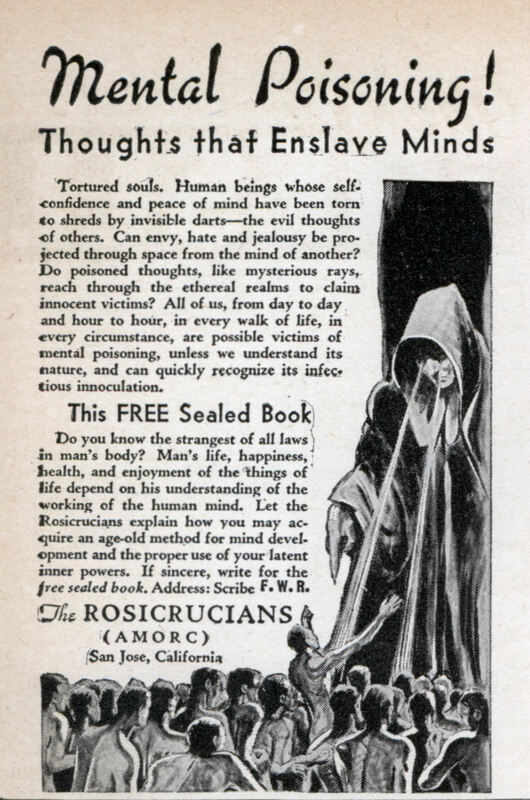 Let the Rosicrucians explain how you may acquire an age-old method for mind development and the proper use of your latent inner powers. If sincere, write for the free sealed book. Address: Scribe F.W.R. Hey! this mental poisoning sounds like Scientology! Al, do you mean to cure it or to cause it? 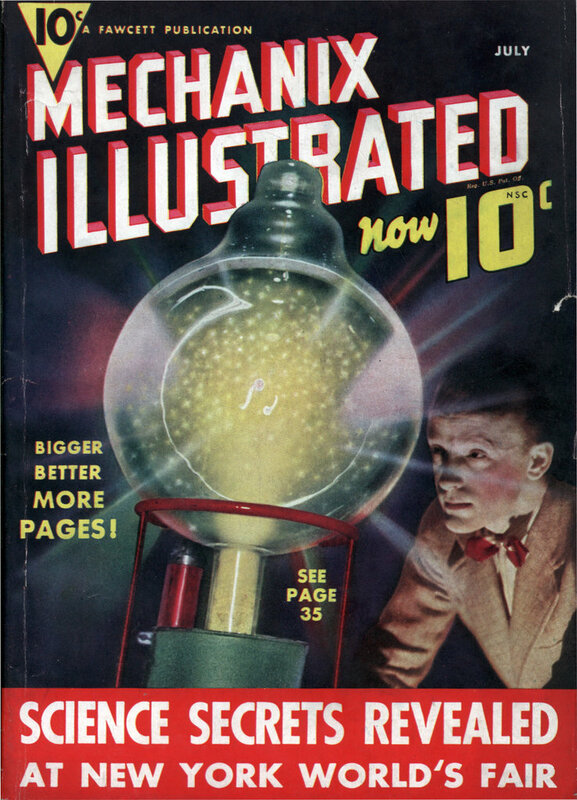 I remember these ads as a 5 or 6 year old while going over my uncle’s mags. Freaked me out it did. They’re still in San Jose. I’ve been to the Egyptian Museum. Their leader is running AMORC. Back in the 1950’s when the Rosicrucians still had to report their income they were worth over $50 million. Much of that was invested in Southern California real estate. Life is hell , with no respect , no goal . so give them a chance may be they know something we don’t . The Rosicrucians have a pretty good museum and planetarium in San Jose.